Open to the Public for viewing! 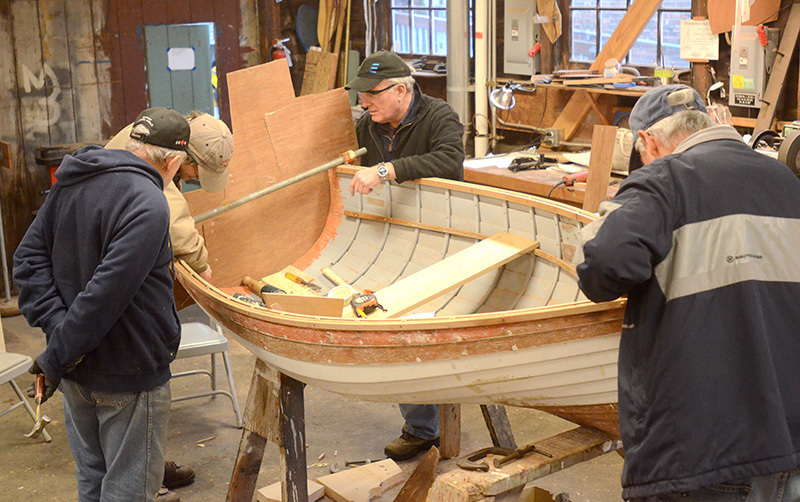 Learn from master boatbuilder Tom Regan as he guides program participants through a boat building, boat repair or boat restoration project. 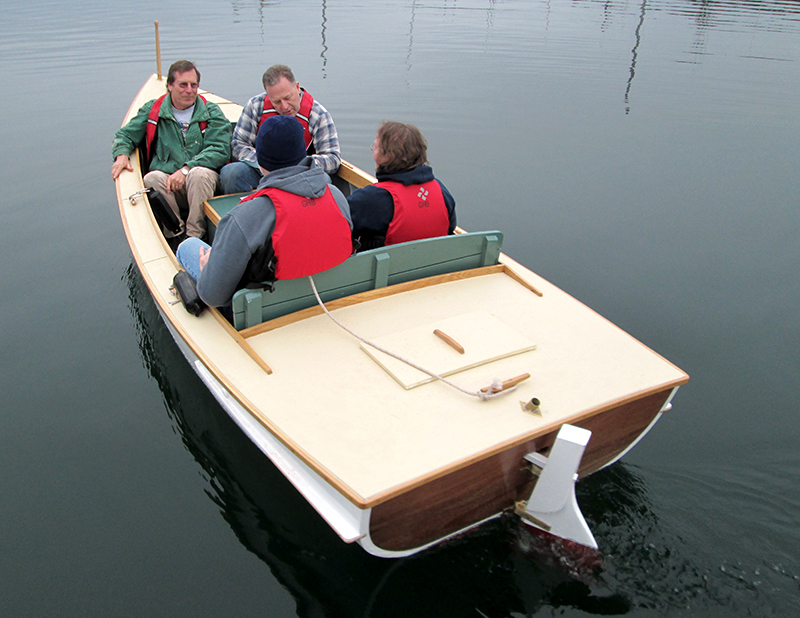 Community Boat Restoration Program projects have included building a 15.8 foot Lake George rowing boat, and the restoration and electric re-power of two classic Puget Sound motor launches the "A.R. Fisk" and the "Gaylynn." Go to Boat Rental to learn more about renting these boats through Gig Harbor BoatShop's Livery Program. If you’re interested in learning more from a master about boat building and boat repair and want to spend time in a historic boat shop, join the Gig Harbor BoatShop Community Boat Restoration Program crew on Saturdays. Sponsorship opportunities are available for this program. Click here for more information. Before and after photos: A lapstrake skiff was repaired as a display boat.